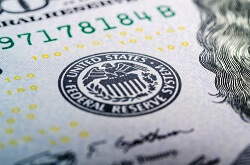 As many predicted, the December interest rate hike was announced during the Fed meeting today. After all the anticipation, the Fed increased its target rate by a quarter of a percentage point (0.25%). So how will it affect investors? The Fed's December rate hike signaled the central bank's confidence in the U.S. economy. After reviewing its key economic indicators, including unemployment, inflation, and its measure of the global economy, the Fed was satisfied enough to raise rates. Keep in mind, a 0.25% rate hike is small and would only bring up the federal funds rate to a little over 0%. The Fed's last quarter-percentage-point rate hike was in June 2006 to 5.25%. The Fed has kept interest rates close to zero since December 2008, when it lowered rates to combat the Great Recession. Still, many believe the December Fed rate hike could have been better timed. The energy sector is ailing from the global oil supply glut, which is hurting the junk-bond market. Central banks in Europe are currently lowering their rates, which creates a divergence between their monetary policies and the Fed's. The labor force participation rate – at 62.6% – is also lower than it was before the Great Recession. The December rate hike won't have much of an effect on stocks, according to Money Morning Capital Wave Strategist Shah Gilani.